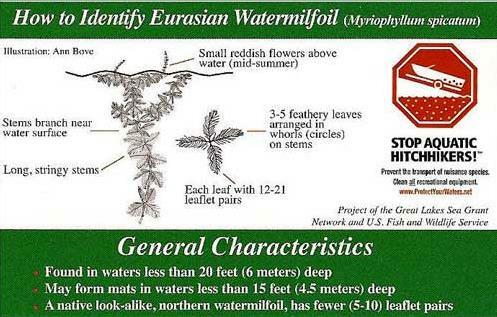 Invasive species fall into two categories, terrestrial and aquatic. 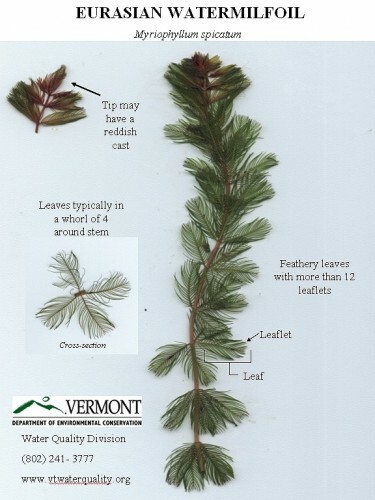 The Invasive Species Prevention program at Seymour Lake was founded in 1999 when, then president and vice president of the SLA, Joan Witzmann and Beth Torpey submitted the first grant to the state of Vermont. 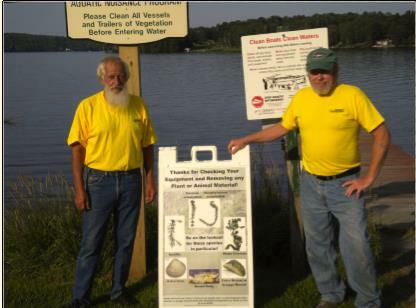 This was the first year that VTDEC offered grants for invasive species prevention and put Seymour Lake as one of the first lakes to monitor incoming watercraft. In partnership with the Town of Morgan and with significant backing of SLA board member, Kalman Samuels, the program has been successful for the last 15 years! Many thanks go to the numerous volunteers over the years, especially to Janet Selby, who managed the program for the last 8 years. 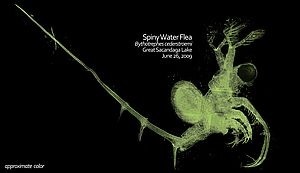 Now that spiny water fleas are in Lake Champlain, it is ever more imperative for lake users to take steps that will slow their spread to other water bodies. The simple mantra for all gear that touches the lake is CLEAN, DRAIN, DRY. 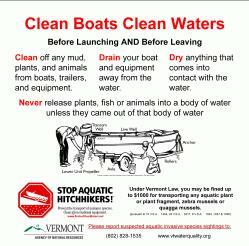 Clean – make sure there are no visible plant or animal parts on your boats or gear. 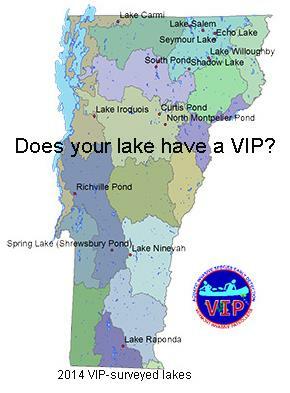 Drain – remove all water from inside boats, coolers or anything else that might have lake water. Dry – don’t reenter water until gear has dried enough to kill anything that might still be living there. This last item is particularly difficult with spiny water flea, since their resting egg stage is resistant to drying. Research has also indicated that it takes at least five days of drying for the egg sacs to become nonviable and disinfection with bleach or chlorine actually enhances the hatching of the eggs. The Invasive Species program is interested in any input from anglers regarding any ideas that could be helpful with keeping this species out of our beautiful lake. Please feel free to contact Beth Torpey at bethyl1@gmail.com. 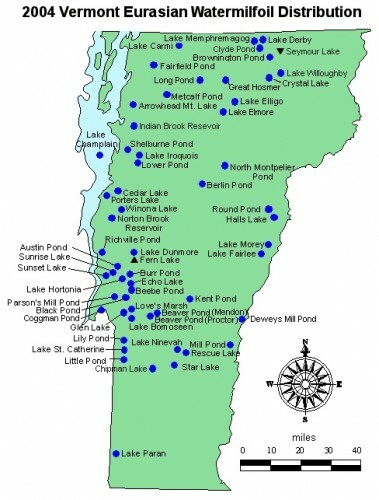 This is a program administered by the Watershed Management Division of the Vermont Agency of Natural Resources which utilizes lake volunteers to physically inspect the shore line of Seymour Lake. We have over 20 volunteers who twice each summer take to the lakeshore by wading, kayaking, canoeing, or with small fishing boats to hunt for invasive species. This of course, is in addition to the major inspection program at the Seymour Lake boat launch.